Ummm, Miss, you are supposed to carry the shield & did your Mom let you dress like that for battle? Tsk tsk. Uhh, she's not barelegged. She's wearing buckskin, though rather formfitting. Very nice paint job, particularly the cloak which actually looks woven and her hair. 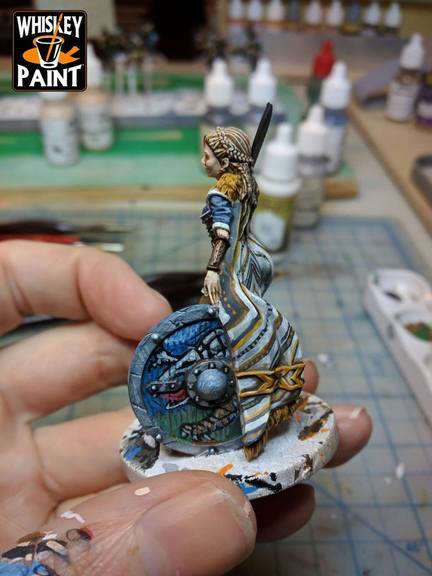 A friend of mine is painting this figure.